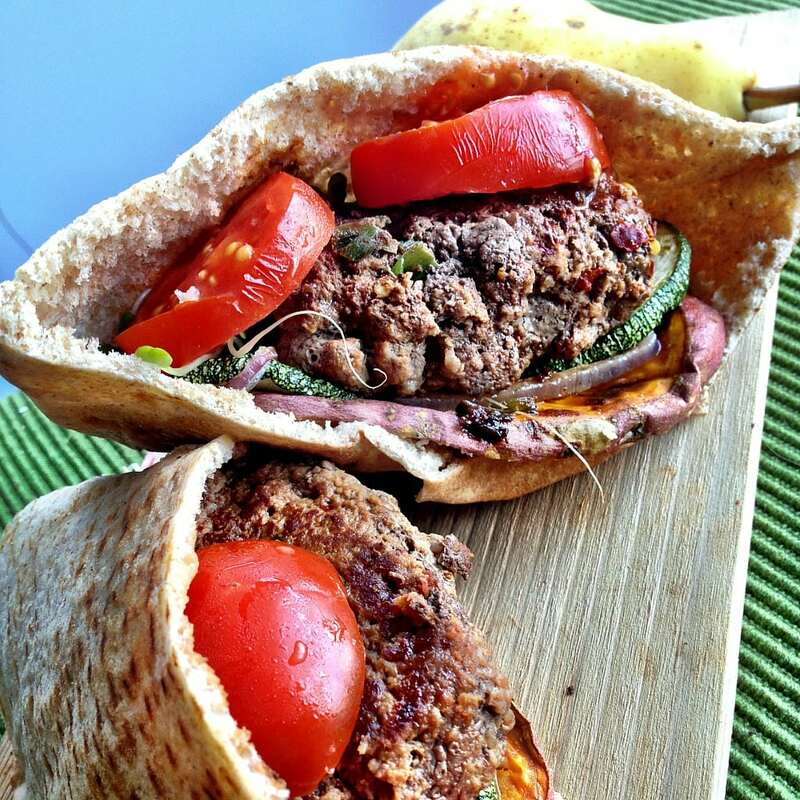 Post Workout Muscle Burger » Organic grass-fed #Bison burger with baked yam, zucchini, red onions, tomatoes, sprouts & goat cheese in whole wheat pita. Shout out to all the Hard Gainers out there – try this burger! Great recovery meal after an intense resistance training session.